WASHINGTON (AP) - President Donald Trump has now laid out exactly what he wants in the "big, beautiful wall" that he's promised to build on the U.S.-Mexico border. But his effort to build a huge barrier to those attempting to enter the U.S. illegally faces impediments of its own. It's still not clear how Trump will pay for the wall that, as described in contracting notices, would be 30 feet (9 meters) high and easy on the eye for those looking at it from the north. The Trump administration will also have to contend with unfavorable geography and many legal battles. Trump promised that Mexico would pay for his wall, a demand Mexico has repeatedly rejected. Trump's first budget proposal to Congress, a preliminary draft that was light on details, asked lawmakers for a $2.6 billion down payment for the wall. An internal report prepared for Homeland Security Secretary John Kelly estimated that a wall along the entire border would cost about $21 billion. Congressional Republicans have estimated a more moderate price tag of $12 billion to $15 billion. Trump himself has suggested a cost of about $12 billion. It's unclear how much money Congress will approve. 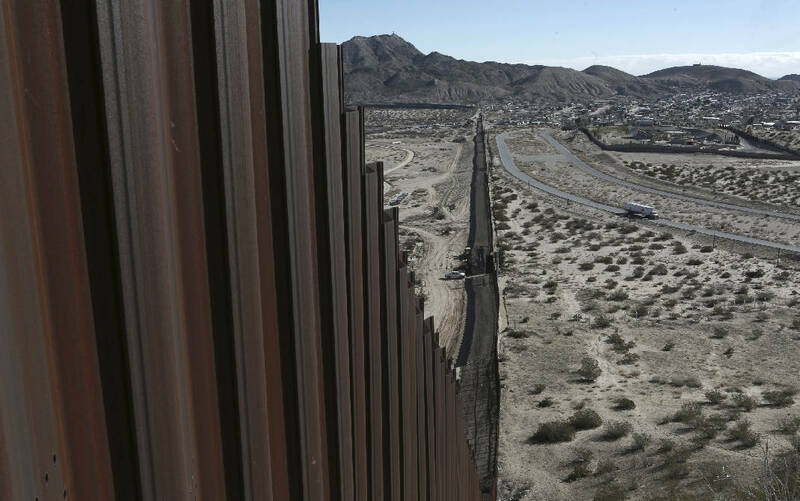 Lawmakers have been balking at his plans to sharply cut other federal spending to pay for the wall and other boosts to border security, while increasing military spending. White House spokesman Sean Spicer told reporters this past week that the administration was still looking at how the wall would be funded, adding that it hasn't given up on Mexico footing the bill. Trump will have to navigate not only the treaty maintained by the International Boundary and Water Commission but also various environmental regulations that protect some stretches of border and restrict what kind of structures can be built and where. The contracting notices of March 17 say the Trump administration wants the wall dug at least 6 feet (almost 2 meters) into the ground. Along parts of the border in California, environmentally sensitive sand dunes required that a "floating fence" was built to allow the natural movement of the sand. Nearly all of the land along the Texas border is privately held - much of it by people whose families have been in the region for generations - and buying their land won't be easy, as Presidents George W. Bush and Barack Obama discovered. Lawyers for both administrations fought in court with private landowners. Obama's efforts to buy privately held land in the Rio Grande Valley have carried over into Trump's term. The Trump administration appears to be preparing for the legal fight and included a request for more lawyers to handle such cases in its budget proposal. Spicer said this past week the administration would "take the steps necessary" to fulfill Trump's promise to secure the southern border.